Simran Singh 11:11 MEDIA Interview Sept. 14, 2015The feminine is key to our personal and collective healing. The ego is sacred. It is essentially a positive force. However, it has been conditioned by trial force. Circlework is a new paradigm in conscious healing, especially for women for the empowerment of a new world. 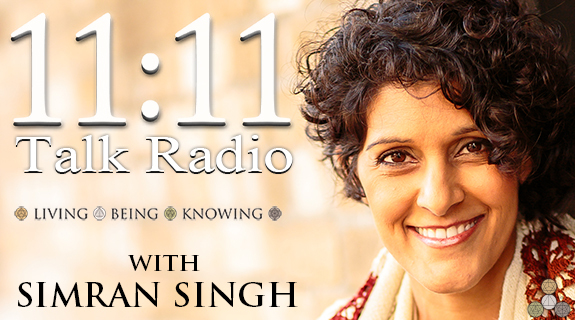 Jalaja Bonheim is this weeks guest on 11:11 TalkRadio with host Simran Singh Listen to 11:11 on Voice America! Made of Clay Report on WRFI 88.1FM Ithaca/Watkins Glen Host Eric Clay introduces residents of, and visitors to, the Finger Lakes region to one another across our many differences. The show is “The Made of Clay Report: Digging deeper into the issues of our lives.” Jalaja Bonheim, Ph.D with us about her work as a Sacred Activist and her new book The Sacred Ego: Making Peace with Ourselves and Our World. Spirituality and Health Pod Cast Your host Rabbi Rami talks to circle work facilitator Jalaja Bonheim about her new book Sacred Ego: Making Peace with Ourselves and Our World. An interview with Bonheim can be found in the September/October 2015 issue of Spirituality & Health magazine. Out of The Fog Hosted by Karen Hager Why have we failed to create the happy, peaceful world that we all want? Are we even capable of it? And if so, what must we do? Conscious Talk Radio Author of The Sacred Ego: Making Peace with Ourselves and Our World helps us understand the ego’s true role and explains the power of coming together in healing circles. Listen to Goddess Alive Radio! The Power of CircleworkCircle Connections interviews Jalaja Bonheim, Ph.D. about Circlework and its role in healing ourselves and our communities. March 1, 2010. How Women’s Sexuality and Spirituality Are Connected A potent conversation with Circle Connections about the relationship between women’s sexuality and spirituality. Apr 12, 2010.